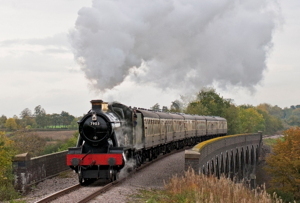 Once again the organisers of the Cotswold Festival of Steam are putting on a fantastic show to remember, whether you're an enthusiast looking for unusual opportunities to see locomotives off their home 'patch' or whether you're a family looking for a day packed with interest. This year's theme is ''Northern Soul" reflecting the appearance of two locomotives from the north - one from north of the border ('Caley' tank no. 419) and the other from the North Yorkshire Moors Railway, B1 4-6-0 no. 1264 - the first time a member of the class has been on the GWSR although these were occasional visitors to our line in BR days. Mackintosh Caledonian Railway '439' class 0-4-4T no. 419 with kind permission of the Scottish Railway Preservation Society. This is certainly the first time such a locomotive has visited the line as members of this class were confined to Scotland. No. 419 has been superbly overhauled and turned out in 'Perth' blue so is not only an extremely attractive design but looks stunning in this livery too. Collett King class 4-6-0, 6023, King Edward II with kind permission of the Great Western Society, will be visiting for the second time and will without doubt be an extremely popular attraction on the line. No. 419 is a member of the Caledonian Railway’s ‘439’ class of 0-4-4 tank engines designed by J F Mackintosh. Between 1900 and 1925, 92 were built, mostly at St. Rollox Works in Glasgow, no. 419 being turned out from there in 1907. Of a very attractive design, these ‘Caley Tanks’ were mainly used on suburban and branch line passenger services as well as banking duties and light freight work. The engine survived well into British Railways days as no. 55189, being withdrawn from Carstairs depot in 1962 after a creditable 55 years of sterling service, all north of the border. It was then sold to the Scottish Railway Preservation Society (SRPS) for £750. 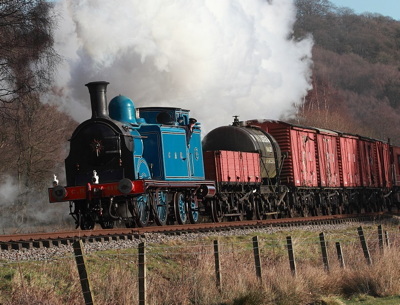 It was overhauled and returned to steam in 1971 and, after a further overhaul which was completed in October 2018, is now based at the Bo’ness & Kinneil Railway. No. 419 is finished in a very attractive ‘Perth blue’ livery and it will add a delightful splash of colour to the Festival. The King class locomotives were the pinnacle of the Great Western Railway's four cylinder 4-6-0 locomotive development. The genesis of the design started with Churchward's Star class, first introduced in 1907 for express passenger trains to and from London Paddington to the West Country and the West Midlands. When Collett succeeded Churchward as the GWR's Chief Mechanical Engineer in 1922, he first modified the design to come up with his Castle class of locomotives and further enhanced it again with the 30 strong King class, introduced in 1927. 6023 entered service in June 1930, and was initially allocated to Newton Abbot, followed by periods at Plymouth (Laira), Old Oak Common and Cardiff Canton, from where it was withdrawn in June 1962 having covered 1,554,201 miles, Via a circuitous route, 6023 was eventually sold to the legendary Barry scrap yard, from where she was ultimately saved and restored. The restoration was more difficult than most as one of the sets of driving wheels had been cut through after a shunting accident at Barry, so one of the first restoration tasks was to take on the job of casting new wheels. No. 6023 appeared at the Cotswold Festival of Steam in 2018 and was an extremely popular visitor. The GWSR is delighted to welcome this hugely impressive engine back and we are pleased that it will remain until late August. The B1 class was designed by Edward Thompson, chief mechanical engineer of the London & North Eastern Railway really as a wartime utility 4-6-0 that could more or less go anywhere, handling both freight and passenger traffic. Introduced in 1942, construction continued over the following decade with 410 completed, shared between Darlington works, Gorton works, Vulcan Foundry and the North British Locomotive Company which built no. 1264 in 1947. It entered service at Parkstone Quay, Harwich working services between there and London Liverpool Street including the Scandinavian boat trains. In 1960 it moved to Colwick operating services over the former Great Central line and was withdrawn from there in 1967, arriving at Barry scrapyard in South Wales the following year - having the fortunate distinction of being the only LNER locomtive to end up there. 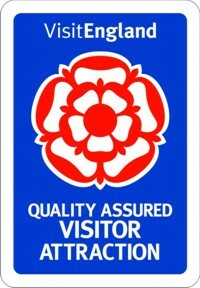 It was then bought for preservation in 1976 and over the next 21 years was restored to working order in 1997. In 1998 it moved to Carnforth for main line certification and subsequently put in thousands of miles service, most notably on the 'Jacobite' service between Fort William and Mallaig. In 2008 1264 was withdrawn for overhaul and re-entered revenue-earning service on the NYMR in 2013. The engine has recently been returned to its lined black LNER livery. 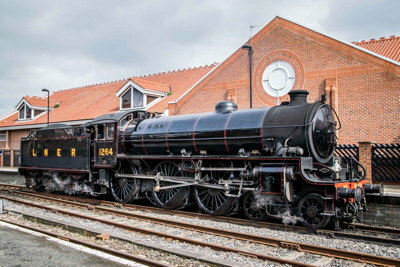 This is the first time in preservation that a B1 has visited the line - but there is a published photograph of sister engine no. 61083 heading south through Bishops Cleeve with a diverted express from sheffield to Bristol, in 1961. This is the oldest Great Western Railway locomotive in working order, having been built in 1905: No. 2807 was a fine example of G J Churchward's engineering design excellence. It was the first 2-8-0 class to enter service in the UK and for many decades was the most powerful freight locomotive type in Britain. So successful were they that many of the class survived to the end of steam on the Western Region of British Railways in the 1960s. 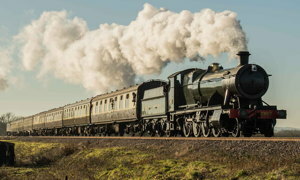 This fine 'heavyweight champion' re-entered service in 2010 and has been a regular and popular performer on the Gloucestershire Warwickshire railway ever since. It was restored mainly at Toddington - in fact, it was the first steam locomotive to arrive at the embryonic Gloucestershire Warwickshire Railway in 1982. No. 4270 missed the Cotswold Festival of Steam last year as it was away for wheelset repairs at Crewe so this is a welcome return. This locomotive spent its entire working life in South Wales handling mineral traffic. Essentially, it is a tank locomotive version of the 2800 class and in fact, was the only 2-8-0 tank locomotive class to run in the UK. The majority were used to handle coal and other mineral traffic, primarily in South Wales, where high power was needed to convey mineral traffic over relatively short distances and over often steeply-graded routes. 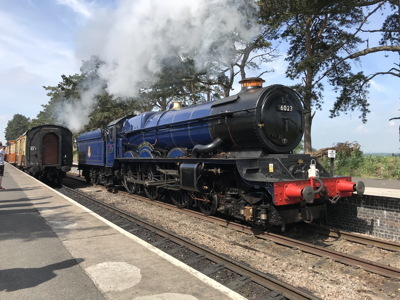 It is a pleasingly attractive engine that returned to steam for the first time since withdrawal from British Railways in 1962 just in time for the 2014 Cotswold Festival of Steam. The locomotive has been subject to an extremely comprehensive restoration both at Toddington and off-site. 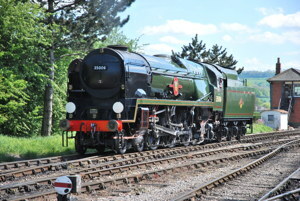 The powerful Merchant Navy class are particularly associated with the heaviest express passenger services on the Southern Railway's routes from Waterloo to Bournemouth and to the West Country. Despite this, the class of 30 locomotives were ostensibly mixed traffic designs introduced by O V S Bulleid to a highly unconventional design, the first appearing from Eastleigh works in June 1941 looking quite unlike any other British steam locomotive, with an 'air-smoothed' boiler casing and incorporating many new features. Not least of these, was chain-driven valve gear for the middle of the three cylinders enclosed in an oilbath - intended to reduce routine maintenance. Although the engines were extremely capable, the design was let down by some of the new features. As a result, the entire class were rebuilt to conventional appearance during the late 1950s, as 35006 is now presented. In fact, 35006 was 'modified' in October 1959, the last to be so treated. 35006 was withdrawn from service in August 1964 having spent its entire working life allocated to Salisbury shed, working the heavy West of England expresses. It was the second locomotive to arrive at Toddington, from the scrapyard at Barry, South Wales, in 1983. 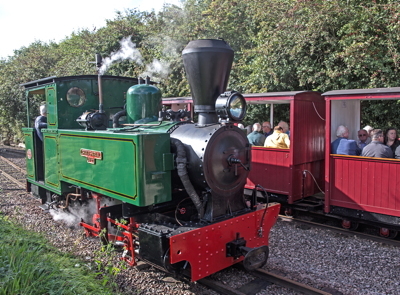 It moved for the first time in preservation on 10 August 2015 and is a hugely popular locomotive on the railway now. You can find out more about the Merchant Navy class on our feature pages. The Great Western Railway's standard mixed traffic locomotives were the numerous Hall class 4-6-0s introduced in 1924 by C B Collett as a development of Churchward's 'Saint' class. The Halls were extremely successful, economical and versatile - as at home with fast freight as they were with express passenger trains. When F W Hawksworth became chief Mechanical Engineer at Swindon in 1941, he set about making a number of design changes to the class, the result being the 'Modified Hall' which was introduced in 1944. Production contiunued until 1950, after nationalisation of the railways. Foremarke Hall was completed in 1949. Restored to working order in 2004, this popular locomotive has proved to be an extremely reliable performer over the ten years before its '10 year' overhaul, re-entering service just in time for the 2017 Cotswold Festival of Steam. The Manor class is a smaller version of the earlier 'Grange' class designed by C B Collett and introduced in 1938. The Second World War interrupted production, which resumed in 1950 after the Great Western Railway had been nationalised to become the Western Region of British Railways. With a light axle loading the 30 'Manors' were very much at home handling freight as well as passenger trains and were particularly associated with secondary main lines such as the Cambrian route to the West coast of Wales. Indeed, the class famously handled the 'Cambrian Coast Express' which started from Paddington usually behind a 'Castle' class locomotive, the 'Manor' taking over from Shrewsbury. No. 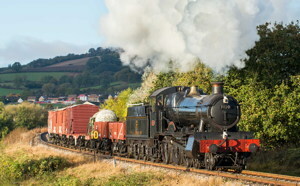 7820 was the first post-war member of the class.